Easy to deploy, feature packed USB/Ethernet to wireless Cellular Gateway for your remote data communications applications. 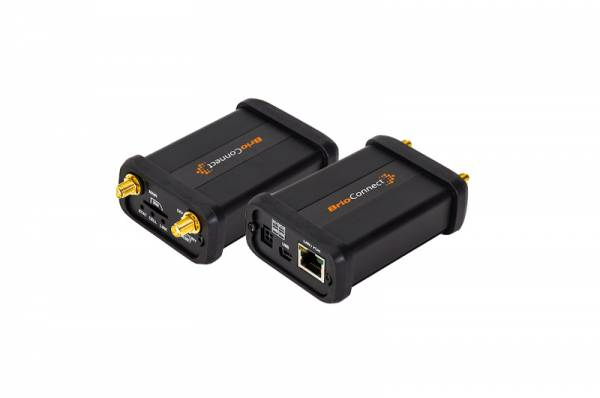 BrioConnect is a compact Ethernet to wireless cellular gateway ideally suited to extend IP networks or provide remote monitoring and control connectivity. Can be quickly used for applications such as POS and computer terminals, industrial automation, smart utility metering, extending IP networks and many more.The BrioConnect includes features for secure data communication, SMS messaging, VPN support and I/O reporting.